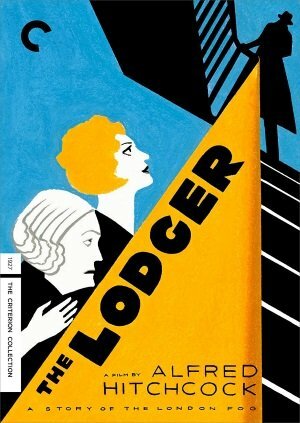 The Lodger (1926) isn’t the first film directed by Alfred Hitchcock—it’s actually his third, though it does mark his first feature produced in Britain after directing two co-productions in Germany—but even Hitchcock embraced it as the first “Alfred Hitchcock film.” He announces his arrival in the cinematic jolt of the opening scene: a close-up of a woman screaming in terror (the score on this restoration musically picks up the scream on the soundtrack), the sprawled corpse of a murdered woman, not gory but unnerving in the worm’s-eye view of the body with limbs akimbo stretching toward the lens, the rubbernecking crowd, and the flashing marquee sign visually shouting “To-Night Golden Curls,” connecting the nervous blonde showgirls of a London revue with the fair-haired victims targeted by The Avenger (beginning Hitch’s lifelong cinematic obsession with blondes). The Lodger, adapted by Eliot Stannard from the novel by Marie Belloc Lowndes and the play she co-wrote, draws on the legacy of Jack the Ripper for a fictionalized thriller (Hitchcock’s first) built on the atmosphere of hysteria and suspicion in a London under assault by a serial killer. It stars Ivor Novello, at the time one of Britain’s biggest entertainment superstars, as the enigmatic Lodger who takes a room in the Bunting home and June Tripp as the Bunting daughter Daisy, a blonde model at an upscale clothing store who gets close to the otherwise distant young man. Her would-be suitor Joe (Malcolm Keen), a police inspector assigned to the case, is none-too-happy about it and his jealousy charges his suspicions about the Lodger’s unusual behavior until he targets him as a suspect. The birds have really made a mess of Bodega Bay. Smoke from a gasoline fire hangs heavy over the city; bodies lie in the streets: abandoned automobiles, smashed windows, and ripped woodwork are grim evidence that the human beings have not won this battle. With Mitch Brenner’s help, Melanie Daniels has escaped the glass cage of a telephone booth and made her way to the relative safety of the town’s central meeting place, a small café. At first, the place appears empty; but, exploring further, Mitch and Melanie discover, cringing in a back hallway, a frightened group of townspeople and visitors. As Mitch leads Melanie into this refuge, a woman comes forward. We have met her earlier: a distressed mother whose concern for the safety of her two children has prompted her to demand that the café’s patrons not discuss the inexplicable violence of the birds within the range of juvenile ears. Her escape from Bodega Bay has been thwarted by the birds’ massive assault on the town, and the violent death of the traveling salesman who was to guide her to the freeway. Gazing at Melanie with only slightly controlled hysteria, the woman says, with mounting shrillness: “They said when you got here the whole thing started. Who are you? What are you? Where did you come from? I think you’re the cause of all this. I think you’re evil! Evil!” Robin Wood points out that these words, spoken as they are to the subjective camera, can constitute an indictment of the audience, whose bloodthirst encourages the brutality of the birds’ attacks. But of course the woman’s outburst is met with a firm defensive slap in the face, also delivered by the subjective camera, and the opposition, though not defeated, is neutralized. 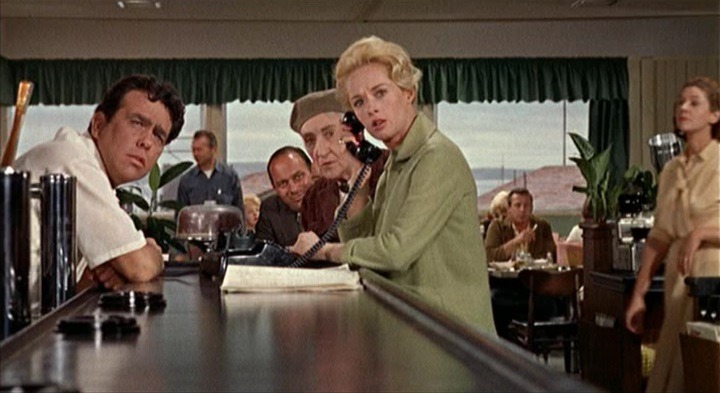 Hitchcock and scenarist Evan Hunter may have included this little encounter in anticipation of the likelihood that many critics and viewers would embrace that simplistic suggestion, that Melanie, witch-like, had brought a curse with her to Bodega Bay. That specific notion is dispelled by radio announcements of bird attacks in other areas, and more finally by Melanie’s own victimization by the birds. But the overtone of witchcraft is not to be discarded entirely. We have already learned that the birds’ uprising coincides with the coming of the full moon, a revelation that evokes the darker traditions of folk myth. And—all other considerations aside—the woman’s hysterical accusation is founded in fact: the bird attacks did start with Melanie’s arrival in the town, and this inevitably gives us a sense of the birds’ significance, even though the inculpation is misdirected. Hindsight is 20/20, but teaming of British perfectionist director Alfred Hitchcock and American iconoclast producer David O. Selznick was doomed to conflict. 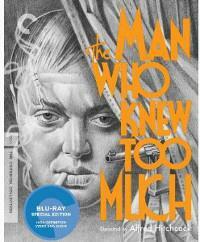 Selznick, who brought Hitchcock to Hollywood with an exclusive contract, was a director in all but name. He micromanaged his pictures down to the shot, rewriting scripts, reshooting scenes, relentlessly tinkering well into post-production. Hitchcock plotted and planned his films in detailed storyboards from the outset. 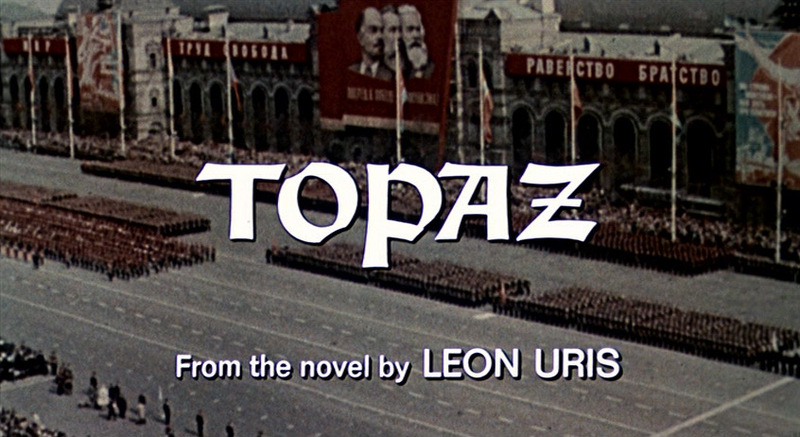 He had no use for Selznick’s interference or his barrage of memos, but he needed the entry to America and relished the generous budgets and access to technology. Their partnership makes a simultaneous case for film as a collaborator’s artform, and as the domain of the auteur. Three of the four films from that strained partnership between the perfectionist British director and the micromanaging producer arrive on Blu-ray and you can see the two creative personalities battle for control throughout. 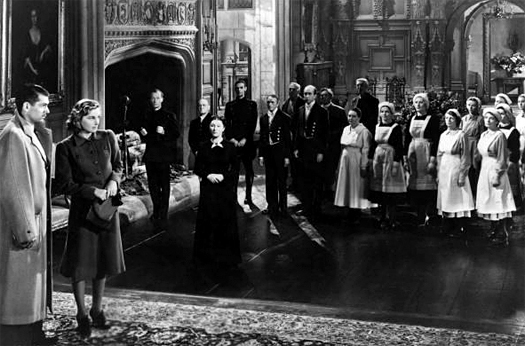 The gloriously gothic melodrama Rebecca (1940), a handsome marriage of the literate and the visual, remains their most financially successful collaboration and Hitchcock’s most studio-like film. Laurence Olivier delivers a fine performance as the haunted de Winter, still under the shadow of his controlling first wife even after she’s died, while Joan Fontaine’s naïve little girl in the big mansion is a bit precious but effective nonetheless. It’s an elegant production, beautifully photographed and designed like a dream house shrouded in mourning, but it also favors the pictorial over the cinematic and surface over subtext. 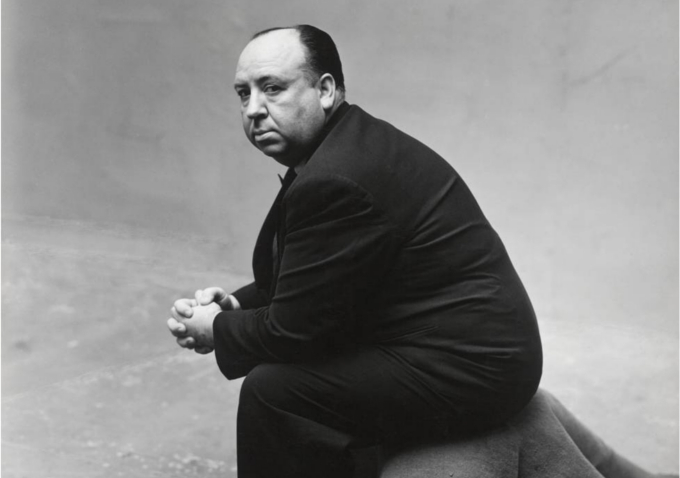 Ironically, Hitch’s only film to win a Best Picture Oscar winner, and the award went to producer Selznick; Hitch lost Best Director to John Ford for The Grapes of Wrath. 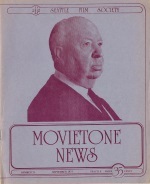 Features commentary by film critic Richard Schickel, screen tests, two featurettes, three radio play adaptations, and archival audio interviews with Hitch. The tensions (and I mean creative, not psychological tensions) are far more fraught in Spellbound (1945), an ambitious psychological thriller inspired by Selznick’s adventures in psychoanalysis and mystery as ludicrous as it is intermittently stunning. 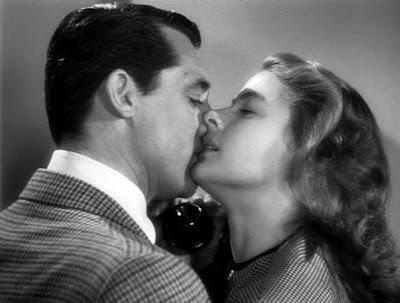 Gregory Peck is the tortured doctor with a repressed secret that psychiatrist Ingrid Bergman helps him unearth, with the help of dream therapy. The push-me, pull-you relationship can be seen in Hitch’s attempts to visualize heady concepts in bizarre dream sequences (designed by Salvador Dali) while the dialogue drags it all back to literalness. 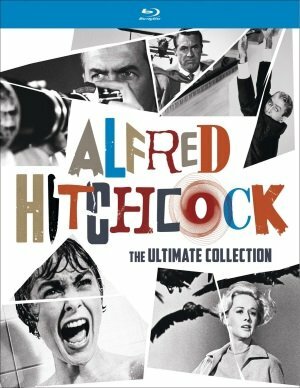 With commentary, two featurettes, a radio play adaptation and an archival audio interview with Hitch among the supplements.